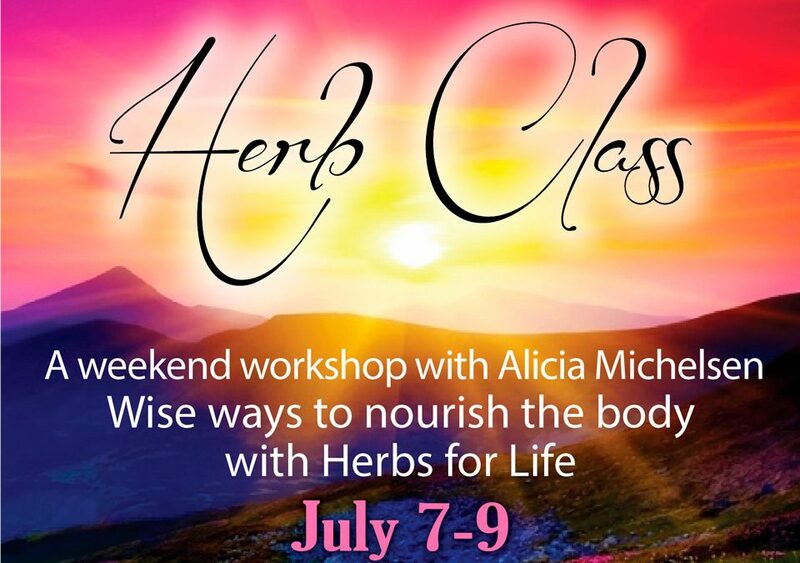 A weekend workshop with Alicia Michelsen Wise ways to nourish the body with Herbs for Life. 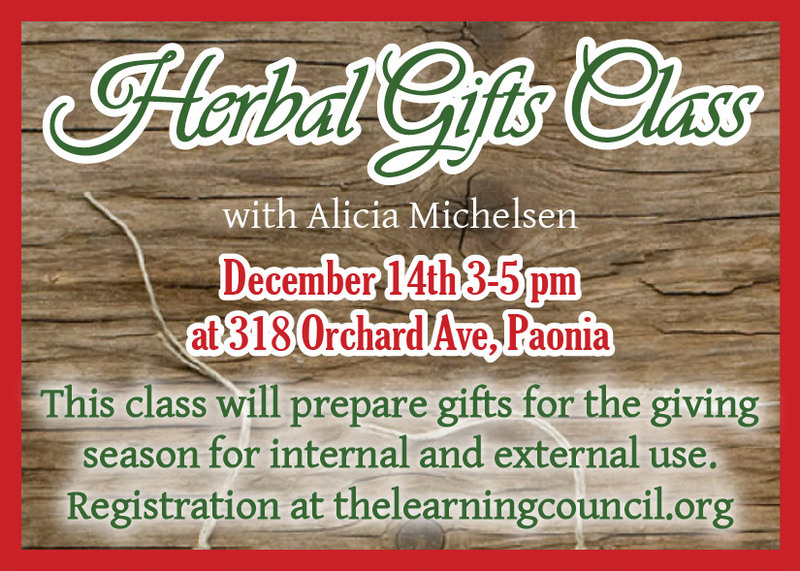 July 7, 5-8; July 8, 11-5; July 9, 11-3. 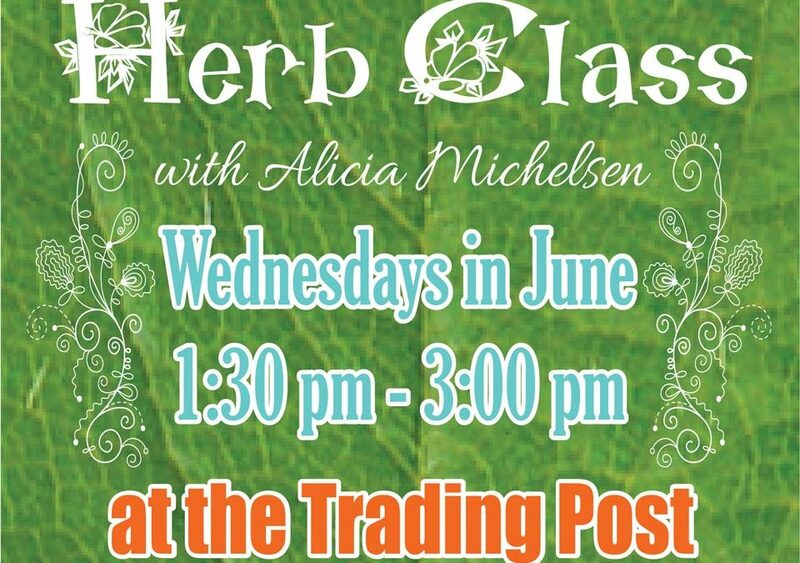 The 2016 Summer Herb class is presented by Alicia Michelsen at the Trading Post and will include the healing herbs of summer.